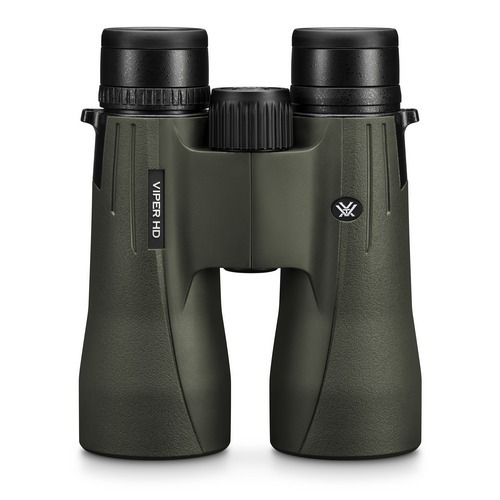 It takes a lot to improve the very popular and award-winning Viper HD 10x50 binoculars and Vortex have made small but effective improvements where it matters most with the new 2018 models. HD (High Density) extra-low dispersion glass is still used for outstanding edge-to-edge clarity coupled with low-light-conquering XR™ anti-reflective coatings and now a wider field of view making this new range of binoculars even better than before. From a size and weight perspective, the Viper HD binoculars are one of the lightest, most compact, full-size premium quality binoculars on the market. They are supplied complete with a Vortex Binocular Harness Pack (GlassPak™) so can be comfortably carried for long periods of time in their own protective case from which you should have no trouble reaching them at a moment's notice in any of the four highly versatile configurations that the Glasspak can be carried in.